Your smartphone is your most portable computer. It’s also a treasure trove of personal information. You wouldn’t leave your laptop unlocked in public, so why leave your phone unprotected? Lock up that data and encrypt it. Social media, budgeting and finance apps, photos, address book, and email — they’re all filled with details about you and the people you know. Yet for some reason a third of smartphone users in the U.S. still don’t bother setting up password security on their phones. It’s a shame because using a four-digit pin or a pattern lock is one of the easiest ways to keep thieves out of your phone. Trust us, the person that finds your phone in the back of a cab or swipes it from your open bag while you’re on the bus isn’t a criminal mastermind. On the other hand, they will be able to figure out from your emails when you’ll be on vacation and what time you leave for work. FCC officials said that in 2012 smartphone theft increased from 8 percent to 42 percent in New York City over a 10 year period. The agency suggested a system where you call your carrier to brick your phone as soon as its stolen to reduce identity theft. But most people who lose their smartphones spend at least some time retracing their steps in the hopes of, you know, finding it. In fact, having your carrier enable such a scorched earth protocol kind of renders tracking services like Apple’s ‘Find My iPhone,’ obsolete. If your phone does fall into the hands of the smarter-than-average thief, encrypting the contents will add an extra level of security that could mean the difference between a minor inconvenience and dealing with various agencies trying to restore your identity. Android’s encryption feature requires a passcode entered into the phone every time it’s powered back on. It can also protect any SD cards you use with your Android phone. To turn on encryption, navigate to Settings > Security. The only downside is that whenever you do turn on your phone with encryption, it’ll take an hour to decipher all your information. 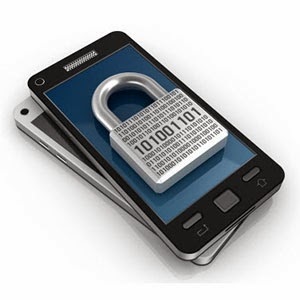 With iOS, just having a passcode turned on on your phone encrypts your information. But if you’re looking for the even more protection, you can have your phone delete all its content if the passcode is entered incorrectly 10 times in a row. Head to Settings > General > Passcode Lock. Scroll to the bottom and turn on Erase Data. Note that once your phone is erased, you’ll no longer be able to use Find My Phone to track its location. But if your personal information is more precious than a piece of hardware (which it should be), this is a great way to protect your identity. Really nice post, you got great blog and Thank you for sharing This excellently written content. Waiting for next one. Sony Smartphone Wireless Charging ! Smartwatch By Google Codename " GEM "